Can the Skins make the play-offs? 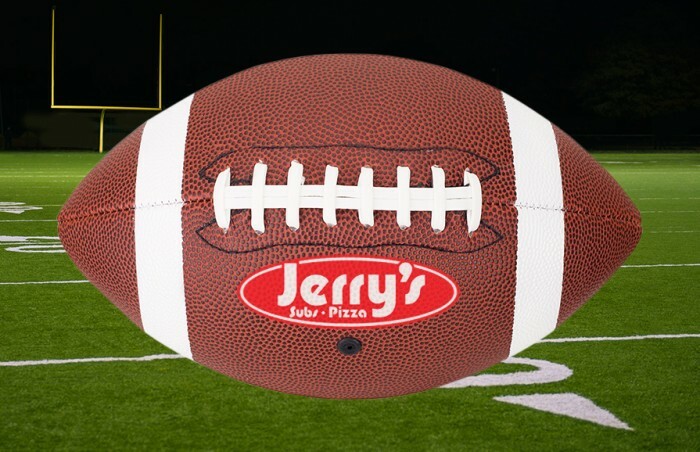 Jerry’s Free Cheesesteaks for a Year Winner Announced! Score! By simply joining Jerry’s eClub, Phillip P. won free cheesesteaks for a year. Phillip was randomly selected from a list of all new eClub members. 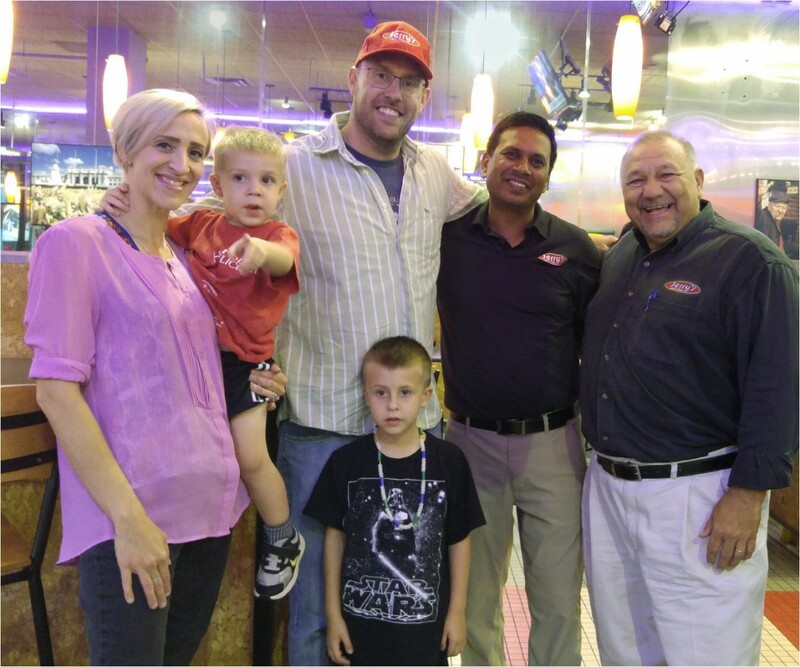 Jim Watson, Director of Operations, and Sarvar, Franchisee for Aspen Hill, presented a special card to Phillip and his family that will give them a free cheesesteak every week for a whole year. Now that is a beautiful thing. Don’t you want to be like Phillip? 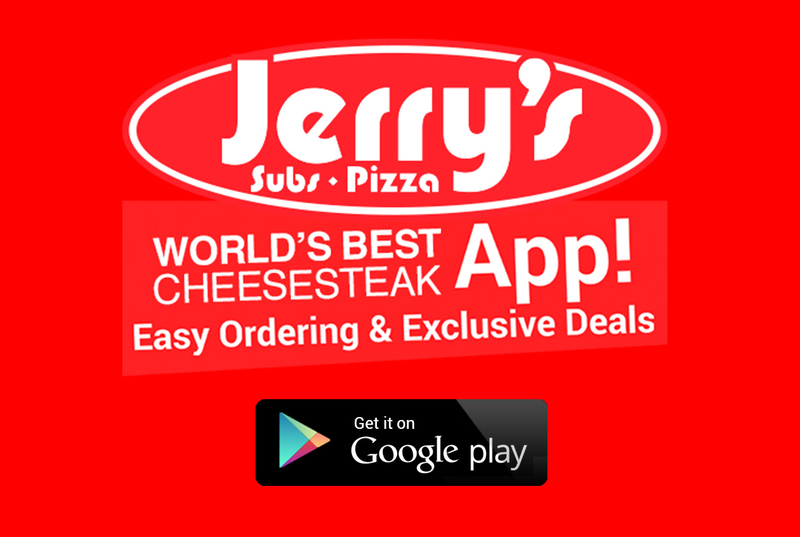 If you’re not a member already, join the eClub at jerrysusa.com/. Jerry’s has done it again! 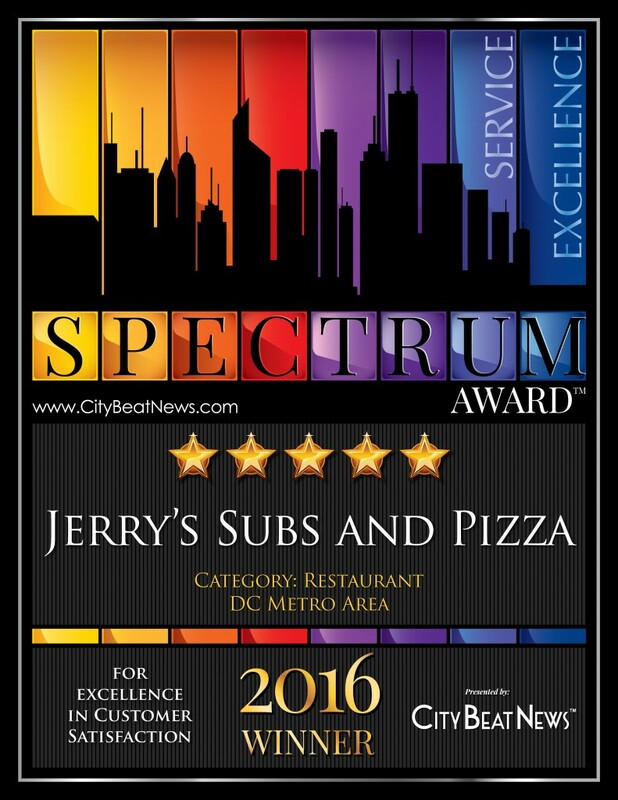 For the second year in a row we’ve won the Spectrum Award for Excellence in Customer Satisfaction, presented by City Beat News. The Spectrum Award is achieved by companies who have demonstrated excellent customer service based on independent research performed by City Beat News. From many sources, CBN boils the competition down to a few candidates, allowing only those that provide the highest rates of satisfaction to win. Jerry’s is honored to receive such recognition, and there’s no doubt that we will continue to provide our customers with exceptional service, quality dining, and an awesome experience.